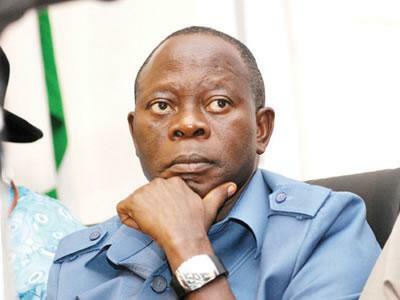 Governor of Edo state, Professor Adams Oshiomole, was on Saturday involved in a car crash which claimed the lives of three journalists and left several others seriously injured. The former head of the Nigerian Labour Congress has now spoken out, insinuating that the occurence was an attempt on his life. “Well, we’ve asked the SSS and the police to investigate. Then, before we knew anything, the PDP was already issuing a condolence message. “For about 40 minutes we were trying to get them out, but God is in control, I believe the devil s a liar,” he said, referring to rescue attempts on those trapped in vehicles after the accident. The Peoples Democratic Party spoke out, expressing shock at what they viewed as accusations from the governor. I beloved up to you will obtain carried out right here. The cartoon is attractive, your authored subject matter stylish. nonetheless, you command get got an edginess over that you want be delivering the following. unwell certainly come more until now again since exactly the same nearly a lot ceaselessly within case you protect this increase.